Men's Health magazine is my favorite health and fitness magazine. I have lots of collection of it since 2009. And it's really a big pleasure for me to become an official part of it! 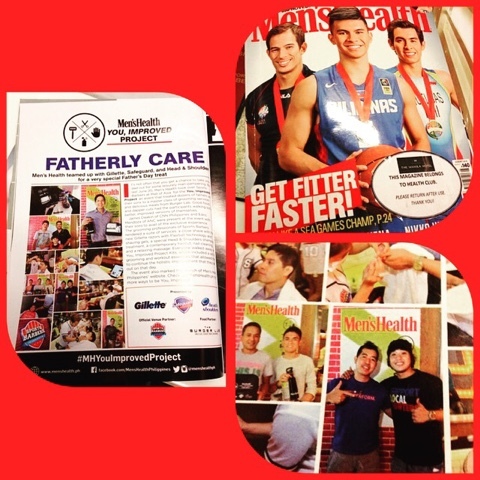 After taking part in different Men's Health events and activities like the Training Combine, Urbanathlon, and You Improved Project certifying me as an official Men's Health Guy, now I was featured in their current August 2015 issue. On the said page, I was with my co-runner friend Loyce Nunez. That was during the #YouImprovedProject last June 2015 inline with the Fathers' Day celebration wherein we were groomed in Sports Barbers.